Audi North Orlando proudly serves Central Florida with exceptional Audi sales, service, and financing. Click here to leave or read a review. 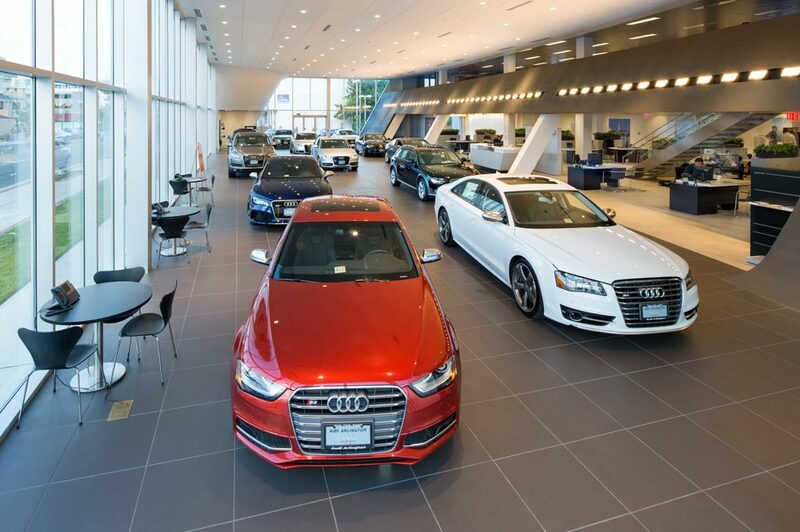 Welcome to Audi North Orlando, an Audi Dealership in Sanford like No Other! Here at Audi North Orlando, we're proud to serve Central Florida drivers with exceptional Audi sales, service and financing. Whether you're looking to buy a new Audi or schedule maintenance for the vehicle you already own, our Audi dealership in Sanford, FL, is here for you. We're committed to providing our customers with the car dealership experience they deserve. That's why we offer our Buy Smart - Be Happy® program that provides you with a money-back guarantee, pre-owned Audi warranties, our Best Price first and more. We know you have a choice when you're looking for an Orlando-area Audi and used car dealership, and we strive to be everyone's first pick when it's time to buy, lease or service a vehicle. If you're searching for a new Audi to give new life to your commutes, explore the inventory at Audi North Orlando, which is brimming with popular models like the Audi A5 and Audi Q5. Shopping for an Audi on a budget? We have plenty of used Audi models to choose from as well, including Audi A3 and Audi A6 options. Once you've settled on the new or used car you love, our Audi financing experts will walk you through the auto financing process, from deciding between leasing and buying to securing a lease or loan with competitive rates. Keep your Audi running smoothly for years to come by following factory-scheduled maintenance guidelines for routine Audi service like oil changes, tire rotations and wheel alignments. Plus, our service center can handle more extensive collision repairs, as well as Audi parts replacements. Before you scheduled maintenance or repairs, check out our current Audi specials to save big at our Florida dealership. Audi North Orlando is located at 139 N Oregon St in Sanford, FL, making us easy to reach from Orlando, Oviedo, Altamonte Springs, Daytona and beyond. Choose Audi North Orlando for all your automotive needs if you're looking for a dealership that values you, your time and your business!